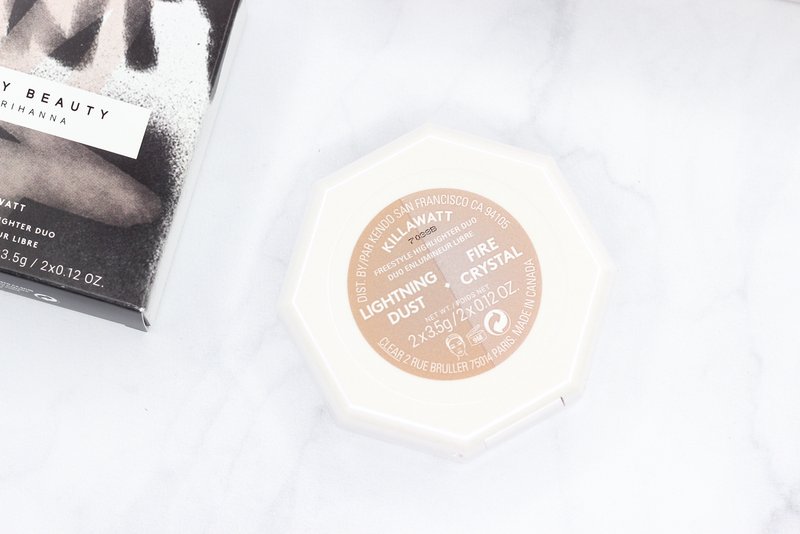 Continuing my Fenty Beauty coverage here on the blog, today I am going to be featuring the Killawatt Freestyle Highlighting Duo in Lighting Dust + Fire Crystal. The Killawatt Freestyle Highlighter lineup consists of four duos and two solo powders that pack a serious punch when it comes to glowing up the skin. The range is comprised of many shades and tones that compliment an array of skin tones; the powders each have a certain level of intensity, so you can either go more subtle with it, or turn the glow factor all the way up. The choice is yours. The Killawatt Freestyle Highlighters can be used on the eyes, face, lips, collarbone, and anywhere else you may want to add some luminosity. 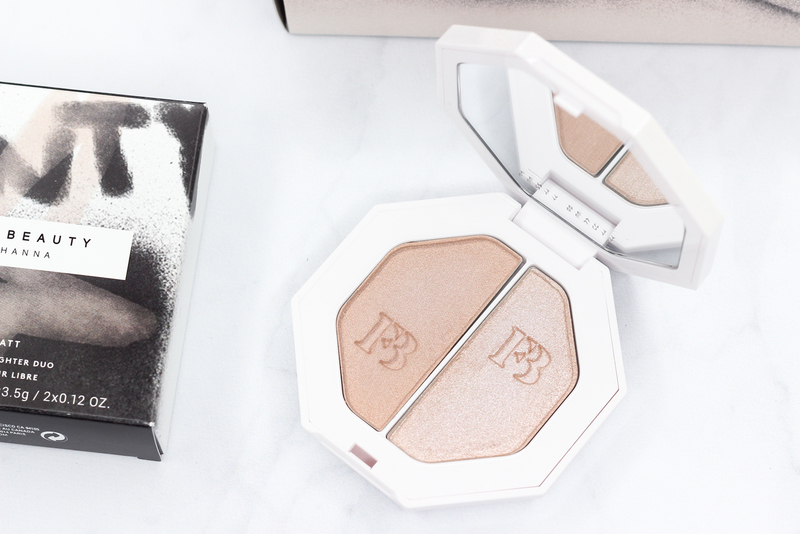 I just had to get my hands on Fenty Beauty's Killawatt Freestyle Highlighting Duo in Lighting Dust + Fire Crystal, which contains a soft and intense pearlescent shimmer. 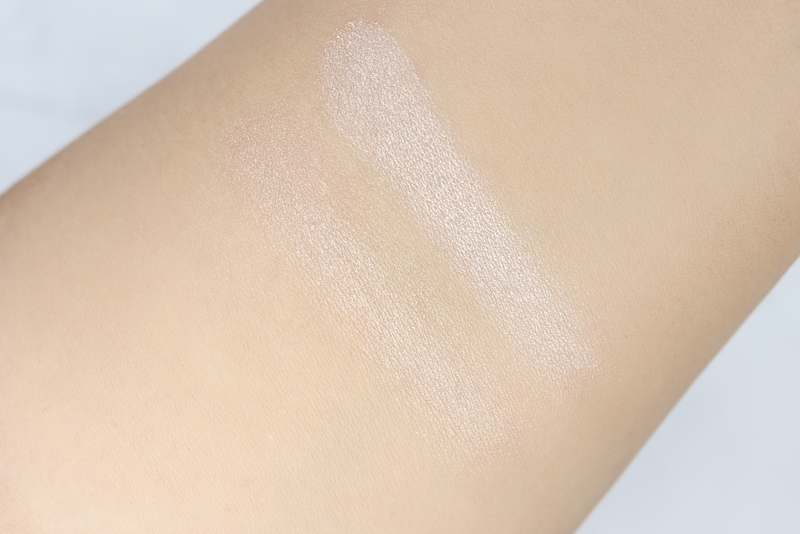 For daytime or minimal makeup days, Lightning Dust makes for the perfect touch by giving off a visible glow on my skin, that's natural looking and not over the top. Fire Crystal on the other hand, will not disappoint if you want a highlight that stands out. Both powders from the Lighting Dust and Fire Crystal duo are so easy to use, and look super flattering on. I like to apply the powders on the high points of my face like the top of cheekbones, nose bridge and tip, and cupid's bow. The finish is smooth, and the glow is unreal and simply made to stand out, no matter how toned down or loud the highlight is. These powders are weightless and long wearing. They have a beautiful cream-powder hybrid sort of texture, that becomes one with the skin once applied/blended on. 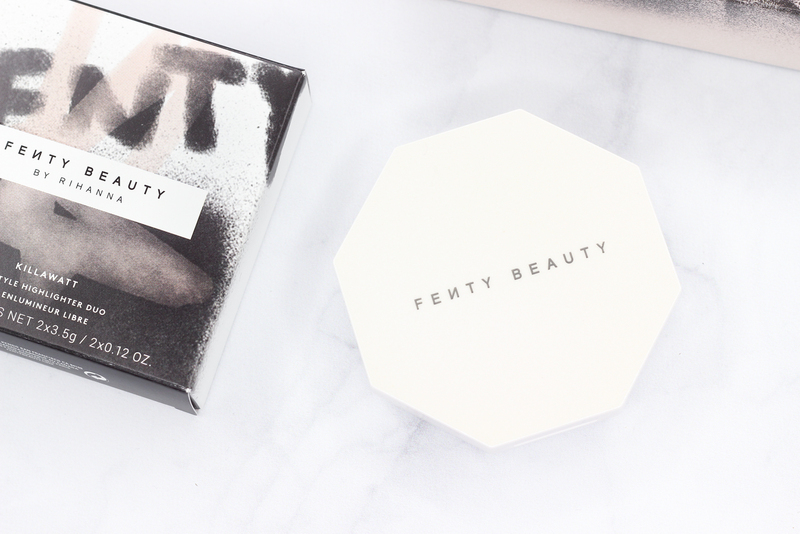 Fenty Beauty came through with the packaging of the Killawatt Freestyle Highlighting powders-as with all of the other products in the lineup, really. It's sleek, modern, and there is a generously-sized mirror on the interior. In the arm swatch picture above, on the left is Lightning Dust and that's Fire Crystal on the right. Next time you find yourself browsing the Fenty Beauty section over at Sephora, I recommend checking out the Killawatt Freestyle Highlighting powders. I am sure there is one that will strike your fancy, and you can't beat the amazing formula. Trophy Wife, the metallic gold one, is next on my list. How gorgeous is that one? What do you all think of Fenty Beauty's Killawatt Freestyle Highlighter?